The Nigerian Navy Service (NNS) has identified the lack of enforcement by government in punishing offenders as the bane of the nation’s security agencies. The offences according to the Service include sea robbery, oil theft, piracy and other illegal activities on Nigeria territorial water. The Chief of Naval Staff, Vice Admiral Emmanuel Usman Jubril made this known in a statement in the just concluded Nigeria Maritime Expo (NIMAREX) 2014 held at the Convention Centre, Eko Hotels and Suites, Victoria Island, Lagos. 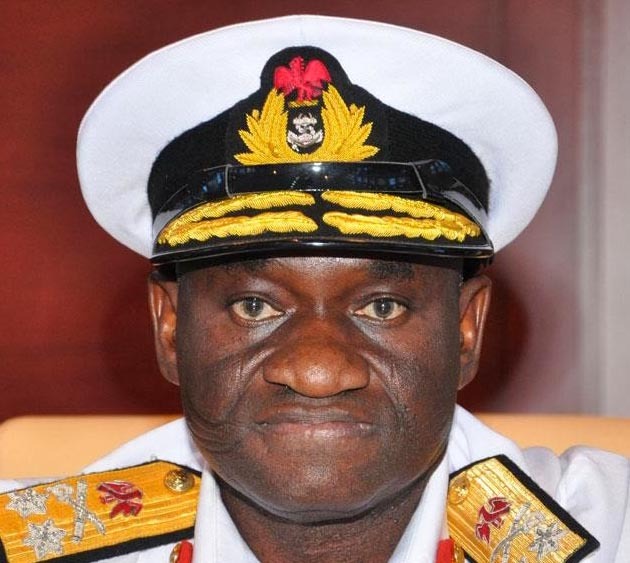 The Chief of Naval Staff who was represented at the event by Rear Admiral Emmanuel Ofik said that most of the criminals arrested on the high sea for illegal activities were seen roaming the street a free man. According to him, “enforcement is our greatest challenge, because we lacked the power to enforce the law. When Criminals are arrested and handed over for persecution, we see that they are released and they go back to do their dirty jobs on the high sea”. He stressed that the government should make the judicial system more vibrant and active in addressing criminal cases. Speaking on Maritime Security in the Gulf of Guinea, the Director Shipping Development of the Nigerian Maritime Administration and Safety Agency (NIMASA), Capt. Warredi Enisuoh identified poor seafarers’ wages as a major reason for increase in insecurity on the Nigerian territorial waters. He noted that the disparity in the wages between a local seafarer and a foreign seafarer make local seafarer an easy recruit for criminally minded individuals. Warredi added that the lack of equipment and technology required to address the situation is another major challenge. Corroborating the two speakers, the Chairman of NIMAREX 2014 Planning Committee, Mrs. Margaret Orakwusi stated that lack of job for trained seafarers has added to insecurity on the Nigeria waters. She observed that indigenous companies that were employing the trained seafarers were dying because of lack of empowerment and supports from the government. “By 2004, we have over thirty-three fishing companies in Nigeria. Then, the country was earning a lot of foreign exchange from this, but now, we have less than nine fleets with the companies forced to lay off their workers. The sailors who were forcefully laid off due to the harsh working conditions have joined the pirates attacking us on the sea. That baffles me when we are training seafarers, where are we going to employ these young Nigerians we are training? The experts that have worked for us are the ones now attacking us,” She lamented.